Great photo! I like the colors. Stunning - gorgeous light & colors. Thanks for your b-day wishes. there are a lot of these trees in my area but I have to say that there are none as beautiful! 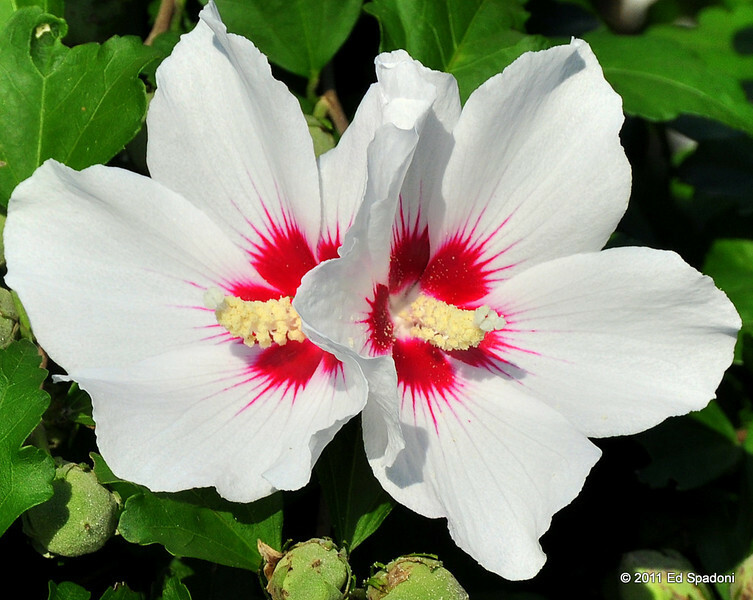 I've never seen Rose of Sharon flowers before, and I must say they are lovely. This is a great shot Ed - thanks for sharing this beauty with us. This is Korea's national flower. Beautiful shot ! Such beautiful flowers and great comp and color. Love that splatterd red !